Now with more active oxidation than standard MetalEase! SWT’s Residential Arsenic Filters are built utilizing SWT’s MetalEase-AS™ filter media as the primary layer. 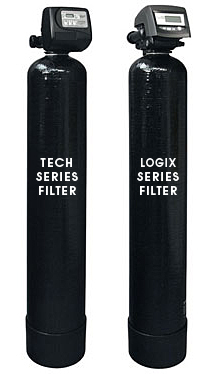 These chemical-free filters are designed to remove arsenic and additional dissolved metals from water. Vigorous backwashing keeps the bed clean. Plus, these systems feature SWT’s revolutionary Cyclonic Distributor System™ to provide full bed contact, less channeling, and superior backwashing. NOTE: Most applications need to remove arsenic-3 before treatment of arsenic-5 can begin. AS (arsenic-3) and AS-5 (arsenic-5) cartridges available for pilot testing water.